Giant horse-dragon debuts in France #ArtTuesday « Adafruit Industries – Makers, hackers, artists, designers and engineers! What do you call a horse with a dragon’s head? A French artist combined the two and created a giant horse-dragon to celebrate the 50th anniversary of diplomatic ties between China and France. 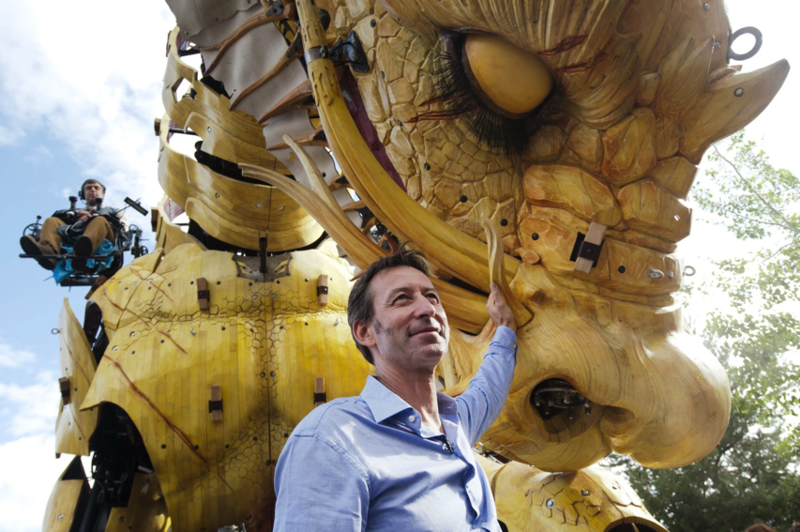 The giant mechanical sculpture, made of wood and steel, made its debut in west France’s Nantes on Tuesday. 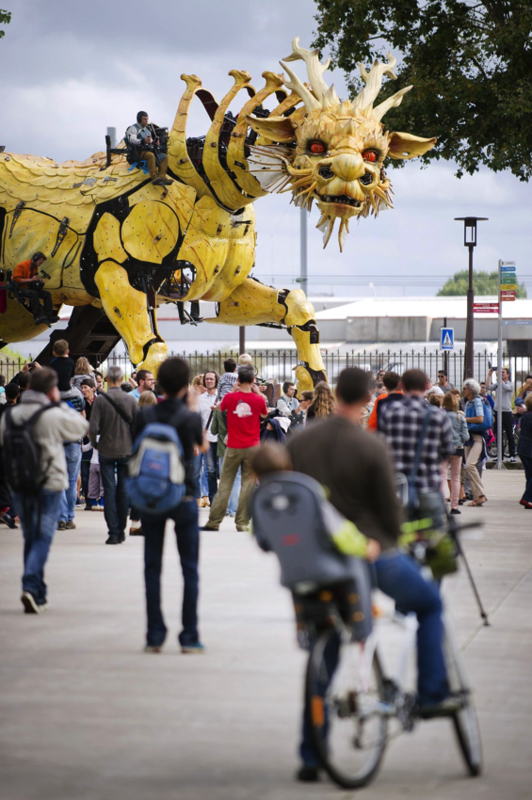 Its maker Francois Delaroziere was also the creator of a mechanical animal theme park in Nantes, Machines de L’Ile. The horse-dragon sculpture will be displayed in Beijing on Oct 17 as the hero of the show ”Long Ma”, which will be presented as part of the China- France ties celebration.